Deutsch Lernen: Having Fun While Learning German Is Possible! Do You Think Learning German is Too Difficult? If you manage to relax and enjoy "deutsch lernen", maybe you will change your mind. • your brain has to build new connections. The new information has to be stored somewhere in your system. With each repetition the connection gets stronger. • and the new information moves you emotionally, it is more likely to be memorized. • your brain needs breaks. Ideally you should take a short break after 90 or at least after 120 minutes (efficient brain work). 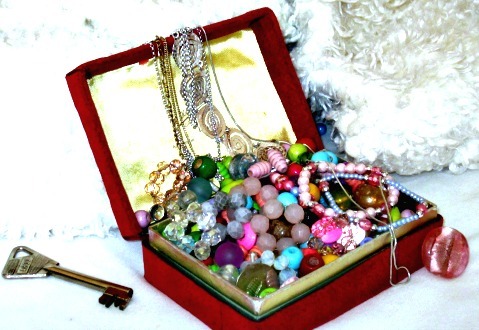 Wortschatz (literally: treasure of words) – isn’t that a nice word? How many words are there in German? While you can master most conversations in every day –life with about 3.000 words, the active vocabulary used by very intellectual adult persons may reach as to about 216.000 words. Some tabloids get along with about 500 words; a more informative newspaper uses at least 5.000 words. language is changing. The language we use today is not the same our grandparents used when they were children. the German language offers endless possibilities to build new words – Komposita –. Should each of them count as an individual word? every field of expertise has its own terminology. Should we count every medical term, from Adrenocorticosteroide to Zytotoxizität, too? some people would count slang and some won't. For our project “deutsch lernen”, perhaps it makes sense to start with the most common words of this language. Do you know the frequency lists of words? There are many of them of different length and with different content in Internet. Start with a list of the 100 most common words. Do you know them all? Obviously the lists change, depending on their source. But it does make sense to check if you know word as “du” and “ich” and “Mutter” and "Vater" before you learn words as “Kriegsdienstverweigerer” or the above mentioned Komposita. Yes- you should study some basic grammar. Children don’t do it consciously when they learn their mother tongue. But it is different, when you are more than 6 years old and you are learning a second, third or … language. You need some rules. In any case, once you know some basic grammar, the best way to learn (correct) German is to apply it. Listen and talk, talk and listen! Don’t be afraid to make mistakes. That comes from studying too much grammar. If you can get together with German speaking people, great! If you can listen to German music, videos, news etc., you will get used to the language and you will develop a feeling for the language that will tell you, if something sounds right or wrong. This is much faster than trying to remember which grammar rule might be applicable. Maybe the most important thing when learning German (or any other language) is to keep on track and not to lose your motivation. Why did you decide to study German in the first place? • Do you want to get a job in a German-speaking country? • Does your company require your proficiency in that language, so that you can offer a better service to your German-speaking clients? • Do you like German literature, poetry or German music? • Are you attracted by the German culture? Do you want to learn more about it? • Do you want to be able to communicate with friends or relatives in German? It can be useful to distinguish between extrinsic motivation and intrinsic motivation. If you do something because you enjoy doing it, the reward lies in the action itself and I would call your motivation intrinsic motivation. If, on the other hand, the reward lies outside you are motivated extrinsically. If you are motivated primarily extrinsically you can add some intrinsic motivation. Look for aspects that make the language learning process more fun in order to enjoy it. Learning with music is great. There are many games which were designed to learn a new language. Even if you already love what you are doing, sometimes it is difficult to find enough time in your busy days to keep on track and to dedicate the time and energy that is necessary to make some progress. In this case it might be very helpful to commit to a fixed appointment with a tandem partner or a language course. If you have to pay for it you won’t miss it, will you? As you probably know, there are many videos on YouTube that can be a big help in your language learning effort. But did you ever try to find information or speeches that cover your special interest in another language? So, if you are passionate about the mysteries of Traditional Chinese Medicine or about how to knit wrist cuffs, why don’t you look for a video on this subject in German language? Were you just wondering if you should dedicate your scare spare time deepening your knowledge of your hobbyhorse or if you should rather study German? Do both at the same time and enjoy it! A great website for learning German with loads of material is the one from Deutsche Welle. Everyone loves to laugh. However this might be a bit tricky. Nothing is as dull as listening to a joke …and then missing the punch line, because you still lack proficiency in the language. Besides, in order to understand a joke, the mere understanding of the words is oftentimes not enough. Also, in order to understand proverbs and idioms of a foreign language, you have to know more than the literal meaning. But taking a closer look at them could be worthwhile.